Allow the tangy aroma of Passionfruit (lilko’i -traditionally an aphrodisiac) and essence of Frankincense to refresh and lift your spirits. 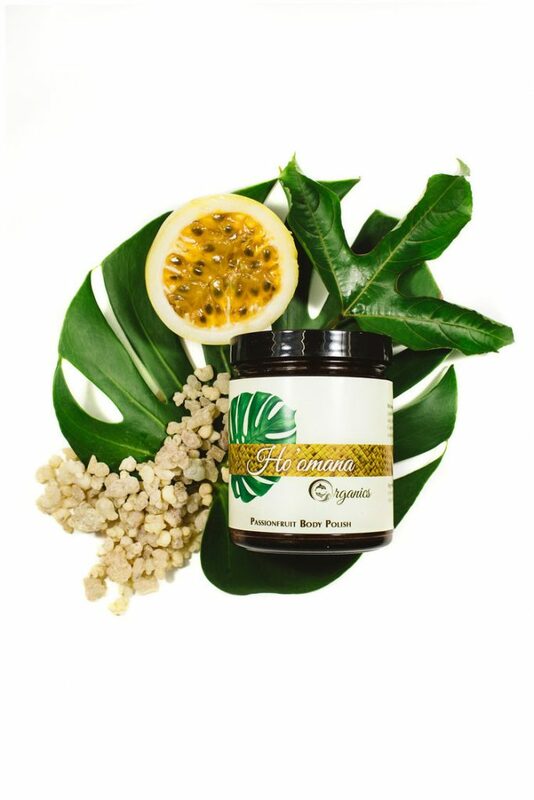 Our signature Hawaiian Herbal Body Butters were formulated using Native Medicinal Concepts. This herbal blend was created using the highest grade in rich tropical oils of Virgin Coconut Oil, Creamy Cocoa Butter, and Kukui Nut oil blended with Organic Macadamia Nut Beeswax from our local Maui bees to nourish and replenish the deepest layers of the skin. Our Passionfruit Body Butter is infused with a blend of Liliko'i (Passionfruit) & Frankincense, calms & balances the skin. The Hawaiian tropical oils provide a richly decadent treat for the whole body.